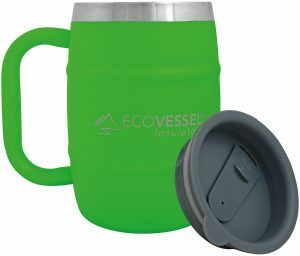 Lighter than our traditional Space Saver Mug,The Space Saver Mug with Grip fits snuggly over the bottom of a 1 quart, round Nalgene bottle and the Klean Kanteen 40 oz saving valuable space in your pack. Hard anodized surface makes this nearly scratch proof, easy to clean, and it looks great too. 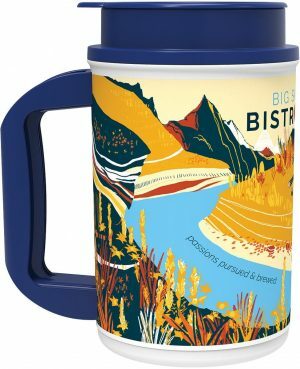 Large enough to boil water for freeze dried meals. 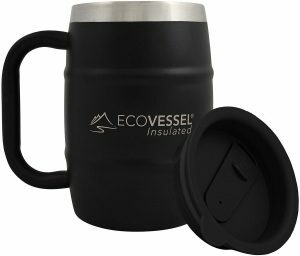 The new innovative handle design keeps the handle cooler when used for boiling water or cooking. This will be your go-to pot for fast and light trips. Graduations on the side for measuring just the right amount of water. 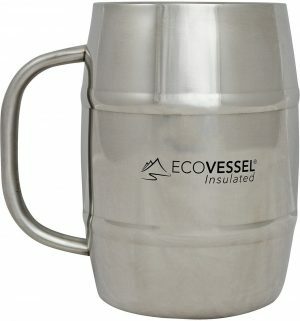 Holds 24 oz to the brim or 20 oz to the top graduation.